X-ray diffractometry in a hard region (l~0.154 nm) was used to study the phase structure, composition and construction of W/Si multilayer X-ray mirrors (MXMs) with thicknesses of tW<10 nm for tungsten layers obtained by direct-current magnetron sputtering. Two series of samples were fabricated with different tungsten deposition rates, which differ approximately by a factor of 4: ~0.60 nm/s and ~0.15 nm/s. It is shown that tungsten layers have a polycrystalline (BCC) structure at thicknesses tW>2.7 nm, and at tW<1.9 nm they are amorphous. Using the sin2Y-method, it was found that in thin crystalline layers of tungsten (tW<10 nm), more than 3 at.% Si can be contained. Tensile stresses in the layers of crystalline tungsten do not exceed 1.1 GPa. The construction of the radial distribution functions of atoms made it possible to establish that amorphous layers of tungsten have an arrangement of atoms close to b-W. In all samples, formation of silicide interlayers is observed at the interfaces, as a result of which the actual thickness of the tungsten layers is less than the nominal one. Amorphous silicide layers, necessarily formed at the stage of MXM manufacturing, contain tungsten disilicide. Depending on the deposition rate, disilicide can have an arrangement of atoms close to either the tetragonal phase, t-WSi2 (~0.6 nm/s), or to the hexagonal phase, h-WSi2 (~0.15 nm/s). An improved model for the construction of amorphous W/Si MXMs is presented. Mechanisms for the formation of silicide layers are proposed, according to which the bottom silicide interlayers (W-on-Si) are formed mainly by ballistic mixing of tungsten and silicon atoms, and the top ones due to diffusion inermixing. The interdiffusion coefficients were estimated, which made it possible to establish that the deposited surface of the layers can be heated at least 250° above the substrate temperature. The ways of reducing the interface interaction are suggested. Irina G. Shipkova, National Technical University "Kharkiv Polytechnic Institute"
Oleksandr Yu. Devizenko, National Technical University "Kharkiv Polytechnic Institute"
Valentine V. Mamon, National Technical University "Kharkiv Polytechnic Institute"
Vitalii S. Chumak, National Technical University "Kharkiv Polytechnic Institute"
Valeriy V. Kondratenko, National Technical University "Kharkiv Polytechnic Institute"
Uspenskii Yu., Burenkov D., Hatano T. and Yamamoto M. Optimal design of multilayer mirrors for Water-Window microscope optics // Opt. Rev. - 2007. - Vol. 14. - P.64-73. Artyukov I., Bugayev Ye., Devizenko O., Gullikson E., Kondratenko V. and Vinogradov A. X-ray Schwarzschild objective for the carbon window (~4.5 nm) // Opt. Let. - 2009. - Vol. 34. - P.2930-2932. Mojarad N., Gobrecht J. and Ekinci Y. Beyond EUV lithography: a comparative study of efficient photoresists' performance // Scientific Reports. - 2015. - Vol. 5. - 9235. Spiller E. Recent advances in x-ray optics // Proc. SPIE: Laser-Generated, Synchrotron, and Other Laboratory X-Ray and EUV Sources, Optics, and Applications II / Ed. by G.A. Kyrala et al. - San Diego, California, 2005. - Vol. 5918. - 591806. Singh K.P. Grazing incidence optics for X-ray astronomy // Journal of Optics. - 2011. - Vol. 40. - P.88-95. Heilmann R.K., Ahn M., Gullikson E.M., and Schattenburg M.L. Blazed high-efficiency x-ray diffraction via transmission through arrays of nanometer-scale mirrors // Optics Express. - 2008. - Vol. 16. - P.8658-8669. Wang Y., Yun W. and Jacobsen C. Achromatic Fresnel optics for wideband extreme-ultraviolet and X-ray imaging // Nature. - 2003. - Vol. 424. - P.50-53. Braun S., Gawlitza P., Menzel M., Leson A., Mertin M., Schäfers F. Reflectance and Resolution of Multilayer Monochromators for Photon Energies from 400 – 6000 eV // Synchrotron Radiation Instrumentation: 9th International Conference / Ed. by J.-Y. Choi et al. - Daegu, Korea, 2006. - P.493-496. Kuki M., Uemura T., Yamaguchi M., Harada T., Watanabe T., Muramatsu Y., and Kinoshita H. Development of high-reflective W/Si diffraction grating for the analysis of fluorine materials. // Journal of Photopolymer Science and Technology. - 2015. - Vol. 28. - P.531-536. Windt D.L., Christensen F.E., Craig W.W., Hailey C., Harrison F.A., Jimenez-Garate M., Kalyanaraman R., and Mao P.H. Growth, structure, and performance of depth-graded W/Si multilayers for hard x-ray optics // Journal of Applied Physics. - 2000. - Vol. 88. - P.460-470. Sell B., Sanger A., Schulze-Icking G., Pomplun K., Krautschneider W. Chemical vapor deposition of tungsten silicide (WSi ) for high aspect ratio applications // Thin Solid Films. - 2003. - Vol. 443. - P.97–107. Pauleau Y., Dassapa F.C., Lami Ph., Oberlin J.C., and Romagna F. Silicide formation in metal/Si structures and diffusion barrier properties of CVD tungsten films // Journal of Material Research. - 1989. - Vol. 4. - P.156-162. Wang M.T., Lin Y.C., Lee J.Y., Wang C.C., and Chen M.C. Thin-Film Properties and Barrier Effectiveness of Chemically Vapor Deposited Amorphous WSix Film // J. Electrochem. Soc. - 1998. -Vol. 145. - P.4206-4211. Backhouse C.J., Este G., Sit J.C., Dew S.K., and Brett M.J. WSix thin films for resistors // Thin Solid Films. - 1997. - Vol. 311. - P.299-303. Fujimura N., Tachibana S., Ito T., and Hosokawa N. Structural control of nonequilibrium WSi2.6 thin films by external stress // Journal of Applied Physics. - 1993. - Vol. 73. - P.733-739. Tung B.T., Dao D.V., Toriyama T., Sugiyama S. Measurement of mechanical and thermal properties of co-sputtered WSi thin ﬁlm for MEMS applications // Microsystem Technologies. - 2010. - Vol. 16. - P.1881-1886. Divochiy A., Marsili F., Bitauld D., Gaggero A., Leoni R., Mattioli F., Korneev A., Seleznev V., Kaurova N., Minaeva O., Gol’tsman G., Lagoudakis K.G., Benkhaoul M., Levy F. and Fiore A. Superconducting nanowire photon-number-resolving detector at telecommunication wavelengths // Nature Photonics. - 2008. - Vol. 2. - P.302-306. Marsili F., Verma V.B., Stern J.A., Harrington S., Lita A.E., Gerrits T., Vayshenker I., Baek B., Shaw M.D., Mirin R.P. and Nam S.W. Detecting single infrared photons with 93% system efficiency // Nature Photonics. - 2013. - Vol. 7. - P.210-214. Lukovic J., Zagorac D., Schön J.C., Zagorac J., Jordanov D., Volkov-Husovic T., and Matovic B. // Tungsten Disilicide (WSi2): Synthesis, Characterization, and Prediction of New Crystal Structures. - 2017. - Vol. 643. - P.2088-2094. Stoetzel J., Schneider T., Mueller M.M., Kleebe H.-J., Wiggers H., Schierning G., Schmechel R. Microstructure and thermoelectric properties of Si-WSi2 nanocomposites // Acta Materialia. – 2017. - Vol. 125. - P.321-326. Koch F. and Bolt H. Self passivating W-based alloys as plasma facing material for nuclear fusion // Phys. Scr. - 2007. – Vol. T128. - P.100-105. Металлические стёкла. - Вып. 2. - Атомная структура и динамика, электронная структура, магнитные свойства (Пер. с англ.) / Под ред. Бека Г. и др. – М: Мир, 1986. - 456 с. International Centre for Diffraction Data (JCPDS), PCPDFWIN #040806, 2000. Bajt S., Stearns D.G., Kearney P.A. Investigation of the amorphous-to-crystalline transition in Mo/Si multilayers // Journal of Applied Physics. - 2001. - Vol. 90. - P.1017-1025. Andreev S.S., Gaponov S.V., Gusev S.A., Haidl M.N., Kluenkov E.B., Prokhorov K.A., Polushkin N.I., Sadova E.N., Salashchenko N.N., Suslov L.A., Zuev S.Yu. The microstructure and X-ray reflectivity of Mo/Si multilayers // Thin Solid Films. - 2002. - Vol. 415. - P.123-132. Zubarev E.N., Kondratenko V.V., Pershyn Yu.P., Sevryukova V.A. Growth and crystallization of molybdenum layers on amorphous silicon // Thin Solid Films. - 2011. - Vol. 520. - P.314-319. Krüger M., Franz S., Saage H., Heilmaier M., Schneibel J.H., Jehanno P., Boning M., and Kestler H. Mechanically alloyed Mo–Si–B alloys with a continuous a-Mo matrix and improved mechanical properties // Intermetallics. - 2008. - Vol. 16. - P.933-941. Диаграммы состояния двойных металлических систем. - Справочник, Том 3 / Под ред. Н.П. Лякишева. - Москва: Машиностроение, 2000. - 448 с.
Gautier J., Delmotte F., Bridou F., Ravet M.F., Varniere F., Roulliay M., Jerome A., Vickridge I. Characterization and optimization of magnetron sputtered Sc/Si multilayers for extreme ultraviolet optics // Appl. Phys. A. - 2007. - Vol. 88. - P.719-725. Першин Ю.П., Девизенко А.Ю., Мамон В.В., Чумак В.С., Кондратенко В.В. Структура, фазовый состав и модель роста аморфных многослойных рентгеновских зеркал W-Si, изготовленных методом магнетронного распыления // Журнал физики и инженерии поверхности. - 2016. - Том. 1, № 1. - С.27-41. Pinegyn V.I., Zubarev E.N., Kondratenko V.V., Sevryukova V.A., Yulin S.A., Feigl T., Kaiser N. Structure and stressed state of molybdenum layers in Mo/Si multilayers // Thin Solid Films. - 2008. - Vol. 516. - P.2973-2980. International Centre for Diffraction Data (JCPDS), PCPDFWIN #441055; 2000. Мальцев В.М. Металлография промышленных цветных металлов и сплавов. - М.: Металлургия, 1970. - 364 с.
Morcom W.R., Worrell W.L., Sell H.G., and Kaplan H.I. The Preparation and characterization of -Tungsten, a metastable tungsten phase // Metallurgical transactions. - 1974. - Vol. 160. - P.155-161. Doland C.M. Molybdenum silicide formation on single crystal, polycrystalline and amorphous silicon: growth, structure and electrical properties // Dissertation for the PhD degree. - Houston: University of Houston-University Park, 1988. - 332 p.
Jarrige I., Capron N., and Jonnard P. Electronic structure of Ni and Mo silicides investigated by X-ray emission spectroscopy and density functional theory // Physical review. - 2009. - Vol. 79. - 035117. Pretorius R. Prediction of silicide formation and stability using heats of formation // Thin Solid Films. - 1996. - Vol. 290-291. - P.477-484. Largeron C., Quesnel E. and Thibault J. Interface growth mechanism in ion beam sputtering-deposited Mo/Si multilayers // Philosophical Magazine. - 2006. - Vol. 86. - P.2865-2879. De Luca A., Portavoce A., Texier M., Grosjean C., Burle N., Oison V., and Pichaud B. Tungsten diffusion in silicon // J. Appl. Phys. - 2014. - Vol. 115. - P.013501. Shaginyan L.R., Han J.G., Shaginyan V.R., Musil J. Evolution of ﬁlm temperature during magnetron sputtering // J. Vac. Sci. Technol. A. - 2006. - Vol. 24. - P.1083-1090. Ш. Мьюрарка Силициды для СБИС. - М: Мир, 1986. - 176 с.
Pershyn Y.P. 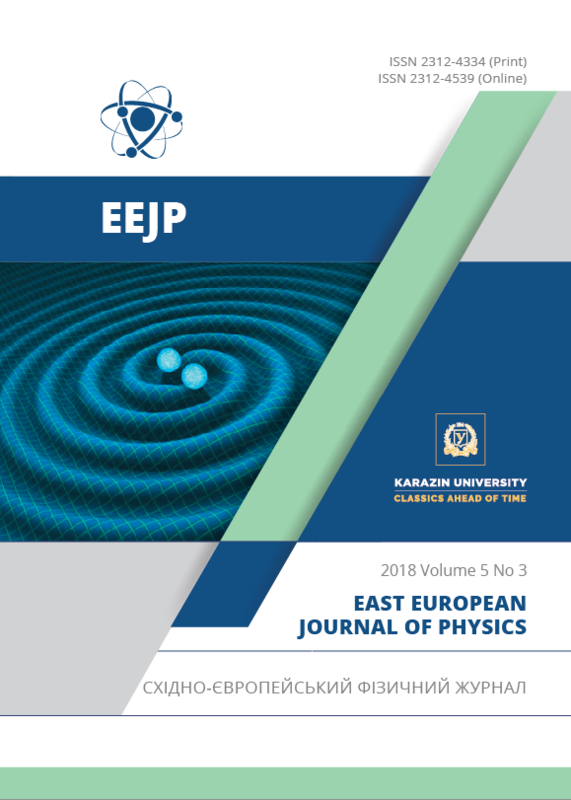 , Gullikson E.M., Kondratenko V.V., Mamon V.V., Reutskaya S.A., Voronov D.L., Zubarev E.N., Artyukov I.A., and Vinogradov A.V. Effect of working gas pressure on interlayer mixing in magnetron-deposited Mo/Si multilayers // Optical Engineering. - 2013. - Vol.52. - P.095104. Windt D.L., Hull R., and Waskiewicz W.K. Interface imperfections in metal/Si multihyers // J. Appl. Phys. - 1992. - Vol. 71. - P.2675-2678.